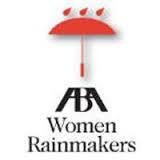 The biannual ABA Women Rainmakers Mid-Career Workshop will take place November 7-8, 2014 at The US Grant hotel in San Diego, California. I will be speaking on a panel entitled “Progressing into Partner–Road Rules,” with an esteemed faculty that includes Rori Goldman of Hill Fulwider, Ali Sylvia of Plews Shadley Racher & Braun and Law Practice Division chair Bob Young of English Lucas Priest & Owsley. I often remark to people that as a summer associate at Bernstein Shur in Portland, Maine, I quickly realized that my personality and career goals did not equate to a likelihood of becoming a partner at a law firm. It had nothing to do with Bernstein Shur–an excellent firm with outstanding people–but simply the partnership process at firms in general. My philosophy–right or wrong–was that if I was not going to be on a partnership track at a law firm, I’d just as well not be at a law firm at all. I won’t go into whether that thinking was right or wrong, but that was my approach at the time. In retrospect, I still think it was the proper path for me. Of course, back in the day, most attorneys entered a law firm as summers or first years with the belief or understanding that you would put your head down for 6-10 years and lift it when the partnership committee came a’votin’. That is certainly way different today. As a matter of fact, most would argue that it is the opposite. Most attorneys start “training” at a law firm knowing they would not likely be there for the long haul–whether it is your choosing or the law firm deciding–maybe it is for life/work balance, maybe you seek a different area of practice, decide to relocate, or join a client in-house–the odds of becoming partner are better than a college basketball player making it to the NBA, but not enough for me to place a wager on it in Vegas. An area of great satisfaction for me now is to see attorneys at law firms that I worked with a dozen years ago as summer associates or first years’ becoming partners at those firms. People I saw as rookies and pups are now inching toward management committees. I’ve seen those that I expected to become partners reach their goal. I’ve seen others become partners at other firms. Or go inside with a client. Quit entirely and stay at home. Or continue to wonder with frustration if that partnership invite will ever come (in most cases, probably not). But reaching partnership takes more than simply hard work. It takes planning and strategizing. It takes a road map. And, in the area I often am speaking about, it takes an understanding and embracing of business development at the earliest stage possible to enhance those odds. For women in particular (this is about the ABA Women Rainmakers Mid-Career Workshop after all), there are unique challenges that can go hand in hand with all of the aforementioned issues. In 2010, I was asked by ABA Young Lawyers Division chair David Wolfe to help plan and speak at the inaugural ABA New Partners Conference. The NP conference co-chairs were young attorneys (and both now full-fledged partners at their respective law firms) Dan McKenna of Ballard Spahr and Amy Drushal of Trenam Kemker. I am still involved in the planning of ABA New Partners, taking place April 16-17, 2015 in Washington, DC. Each year I speak on the all-important area of business development for new partners. But I’ve also had the chance to become better exposed to so many of the other criteria and responsibilities that come with being a new partner (as opposed to making partner). While learning your craft, doing great work and taking care of your bosses and clients are certainly the biggest factors in making the move from associate to partner–there is more to the recipe. Make sure you know the proper ingredients at your firm. Like most great recipes, there are plenty of different ways to make the stew; just know which ingredients are weighed most heavily in your kitchen. And, of course, consider attending either/or/both conferences in 2014 and 2015. If you’d like to learn more about them, feel free to give me a call or shoot me an e-mail. Tagged: "ABA New Partners Conference" and "ABA Women Rainmakers"